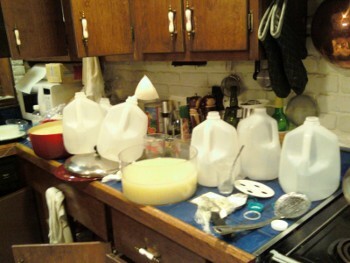 We made cheese this weekend using 6 gallons of unpasteurized milk. 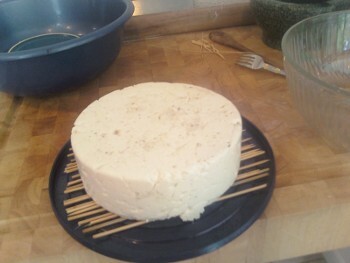 Both of these cheeses will need to age for a while before we can try them out. After just 5 days, mold has started growing on the surface. Not just any mold. 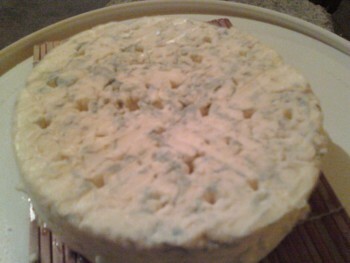 BLUE mold from FRANCE. The basement is about 10 degrees Fahrenheit warmer than the recommended temperature for ageing blue cheese. Over the last several weeks, the cheese has slowly turned to ooze and developed a questionable odor. 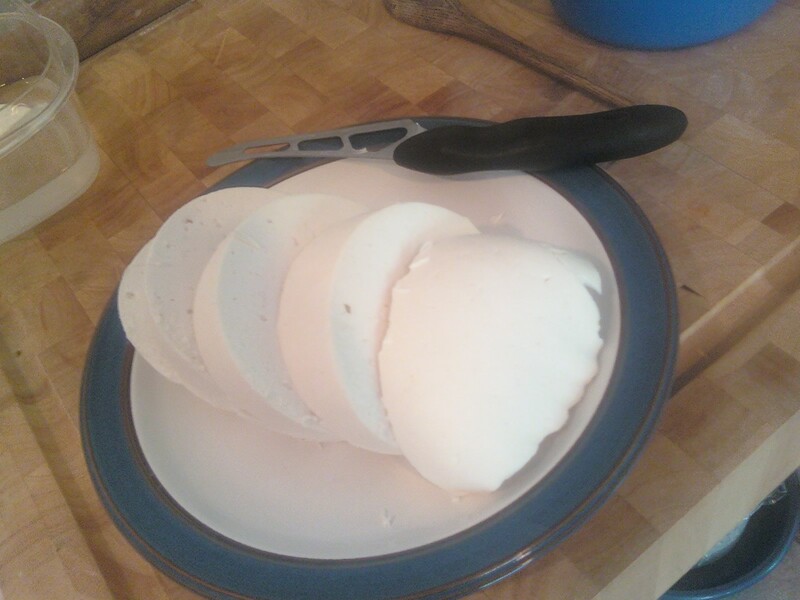 Finally, it degraded into *really* nasty brown ooze and so I flushed it down the garbage disposal. Luckily the much larger hunk of blue cheese should be ageing in a friend's appropriately-chilled refrigerator.